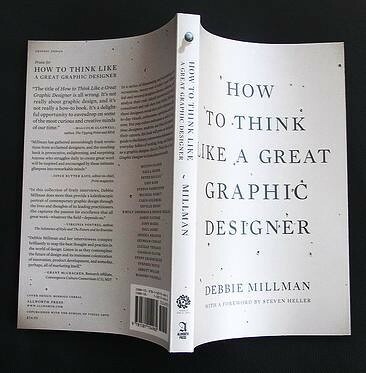 Joining me today on Design Matters with Debbie Millman is the super-fabulous Natalia Ilyin. Natalia Ilyin is a design critic, a teacher, and a practitioner. As a critic, she's been called "outspoken" and "irreverent." But her irreverence stands on a firm foundation: her students read Aristotle, Thomas Carlyle and Carl Jung. A full-time practitioner, she's co-founder of the Seattle brand consultancy EmersonHarris, and works, with business partner Pam Heath, on brand story, design and analysis for clients like Microsoft and Boeing. But Natalia also lectures about the effects of brand and of living in a consumer-driven economy. "Balancing these opposites," she once said, "keeps me honest." Before moving west, Natalia worked in New York as a graphic designer and art director for many years, earned her MFA at Rhode Island School of Design, was National Director of Programs at the AIGA, taught at Cooper Union and was named Critic at Yale University. She currently teaches a graduate seminar at the University of Washington and conducts workshops at RISD, Maine College of Art and Art Center College of Design. Natalia’s articles have been published in the New York Times, the International Herald Tribune, the Portland Oregonian and the Miami Herald; in the design press, and in several anthologies. She is the author of two books; her most recent book, "Chasing the Perfect: Thoughts on Modernist Design in Our Time," takes a personal look at the philosophy of modernism and its effects on our culture. 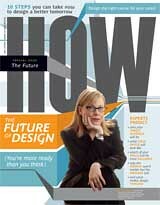 Design Matters airs live weekly on the Voice America Business Network, now the industry leader in Internet talk radio. The show was voted a "favorite podcast" on PSFK's Marketing Podcast survey and it was voted 9th out of over 300 entries for the Cooper Hewitt National Design Museum’s People’s Choice Award in 2007. The show is also available as Podcasts on iTunes, where over 100,000 people download the show every month. Long-time listener, first-time caller ... I mean commentator. I thought your most recent interview with Natalia Ilyin was one of your best. Your style of interviewing and your insight into Natalia's work came together in an entertaining and thought-provoking manner that complimented both you and your subject. 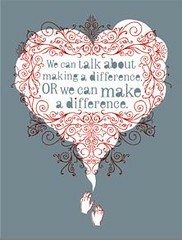 I'm also a big fan of Natalia's work and was lucky enough to participate in one of her workshops as a student at RISD. Bravo to the both of you!